This is going to be one tough match. The beef flavored bits win! Can I get another one of those bits? 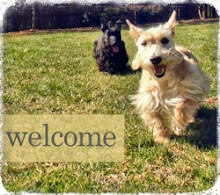 Many Scottie Moms have asked how I get Heather and Mr. K to sit and smile for the camera so well. Truth be told: it takes patience, a hint of good luck and a bit of bribery. 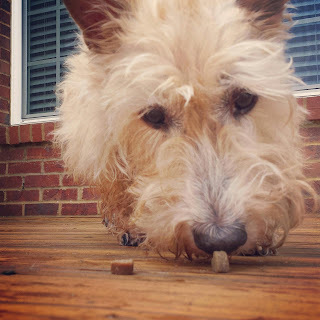 Photo sessions with Heather and Mr. K can take longer than a typical Scottie dog's attention span might permit so what better way to keep them interested than to spice things up with a variety of yummy treats? I'm all for spoiling your pup but always conscious not to overindulge them so I like to stick to the smaller, training treats like BLUE Bits. Heather and Mr. K have eaten BLUE Basics - Salmon & Potato recipe dry food for years at the recommendation of a V-E-T so when Chewy.com asked if we would consider reviewing these BLUE Bits treats in exchange for a free sample, I had no problem signing us up and I knew neither Heather or Mr. K would turn down the opportunity for a treat tasting! So, this past weekend, we put BLUE Bits to the test. Would they be as yummy as BLUE Basics? And which flavor would Heather and Mr. K prefer? 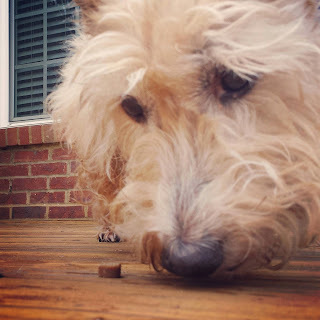 Since we were doggie sitting for the Shih Tzu Mom this weekend, we wanted to make sure Lucky got in on the treat tasting fun, too. 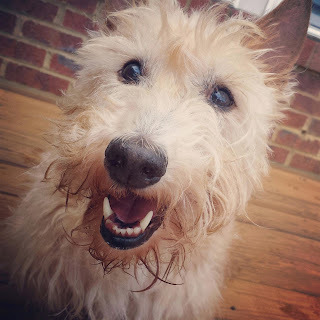 He's a pretty picky pup but he loves anything chicken flavored so we knew which flavor he would choose! Mr. K opted for the beef flavored treats which meant we had a tie on our hands. It was up to Heather, our resident foodie, to determine the winner of the battle of the bits. She took her job very seriously. After careful consideration and lots of sniff testing, the beef flavored bits came out on top. 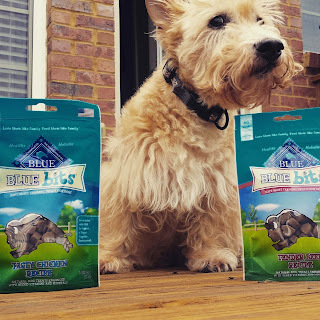 How do these training treats help with capturing the perfect photo, you ask? First, treats grab their undivided attention and lets them know you mean business! Second, treats help draw out those winning Scottie smiles you've come to know and love. Third, it's just fair compensation for having your mom document your every move with a camera, don't you think? And last, but far from least, treats and the photo sessions that warrant them are the ultimate bonding experience. Heather and Mr. K eat up the attention and seemingly relish the time I'm on the floor, at eye level with them playing games, giving kisses, scratching backs and bellies, and topping that all off with a treat! Now, it's your turn to tell us which flavor would win if the battle of the bits was hosted in your Scottie House. 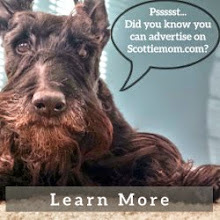 And are there any tips and tricks you have learned over the years that you'd like to share with fellow Scottie Moms and Dads to help us capture more precious moments in photos? Home made organic dehydrated sweet potato chips are the staple here. Heather you remind me of the commercial "Where's the beef?" Why you even kind of look like Clara Peller. Yep Heather you could be a star in a commercial jut like her. BOL! You actually did a sniff test? Anything edible in this house is HISTORY as soon as it's put down! Great staying power!